So grotesque it should be funny but it's mostly just grim. The final reveal (no spoilers) was a surprise but struck me as gratuitous. Banks can write, though. So I did keep turning the pages. 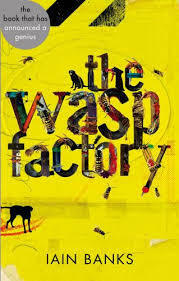 Sign into Goodreads to see if any of your friends have read The Wasp Factory.